Technology is evolving minute by minute and data centers must work to keep up with the lightening-paced evolution. We have discussed the Internet of Things (IOT) before – the world is becoming increasingly dependent on the internet and every day processes are becoming digitized for efficiency and savings. But, as more and more of the world becomes digitized, technology advances and data grows, and that data must be effectively and efficiently stored. Data centers make investments in infrastructure, backup power, security and more so that they can adequately store that growing and evolving data but when things move so quickly, constant monitoring must be happening to ensure that data is not just stored properly but safely and efficiently. Old methods of collecting and analyzing data are archaic and simply not practical. Analyzing what went wrong after the fact, or realizing something is about to go wrong when there is not enough time to fix the problem is useless. And, ultimately, these traditional methods are responsible for a lot of downtime in data centers. Accurate, actionable information in real time is the only way data centers can effectively operate moving forward. Data centers are notoriously energy-inefficient but most data centers today are making efforts to improve and be more energy efficient. The undertaking is not simple or straightforward because every data center is different and has unique needs. Data centers cannot run at capacity because, should capacity change, data centers will be ill-equipped. But, at the same time, data centers should not run way beyond what is necessary because that is a waste of energy. More and more data centers managers are realizing the need for Real Time Operational Intelligence (RTOI). Having access to current, accurate information is the only way to make intelligent and informed decisions about how to best manage the infrastructure of a data center. What does RTOI look like in a data center? TechTarget provides a brief explanation of what RTOI is in a practical sense, “Real-time operational intelligence (RtOI) is an emerging discipline that allows businesses to intelligently transform vast amounts of operational data into actionable information that is accessible anywhere, anytime and across many devices, including tablets and smartphones. RtOI products turn immense amounts of raw data into simple, actionable knowledge. RtOI pulls together existing infrastructure to manage all of the data that is being pulling from a variety of sources, such as HMI/SCADA, Lab, Historian, MES, and other servers/systems. It then has the ability to organize and connect the data so it’s meaningful to the users. By integrating directly with existing systems and workflows, it can help assets perform better and help workers share more information.” As more and more people, businesses and data centers are utilizing the cloud, and the cloud’s complexity continues to change, data management needs change and data centers struggle just to keep pace. RTOI can greatly reduce waste and improve energy efficiency by helping identify what is in use and what is not so that things can be turned off strategically for energy savings. Just think of all of the infrastructure in a data center that is consuming power even though it is not mission critical or in even in use. For example, determining which servers are in use and which servers can be, at least temporarily, powered down will yield significant energy savings. One of the most significant advantages of well-executed RTOI is immediate knowledge of potential threats and the ability to deal with them before they cause downtime. As we have often discussed, downtime is incredibly costly (costing, on average, thousands of dollars per minute). No data center wants to experience downtime but, unfortunately, the vast majority will face it at one point or another. Data centers can significantly reduce their risk of downtime with current, accurate, actionable information about what is happening in the data center. As we have seen, anticipation of problems can only go so far. Data centers simply cannot properly manage what they do not see or have knowledge about. That is where RTOI comes in. RTOI not only aggregates data but it measures it, tracks it, and, if well-executed, puts it easy-to-understand terms and statistics so that you can use the information to make informed decisions as well as to properly manage assets going forward. 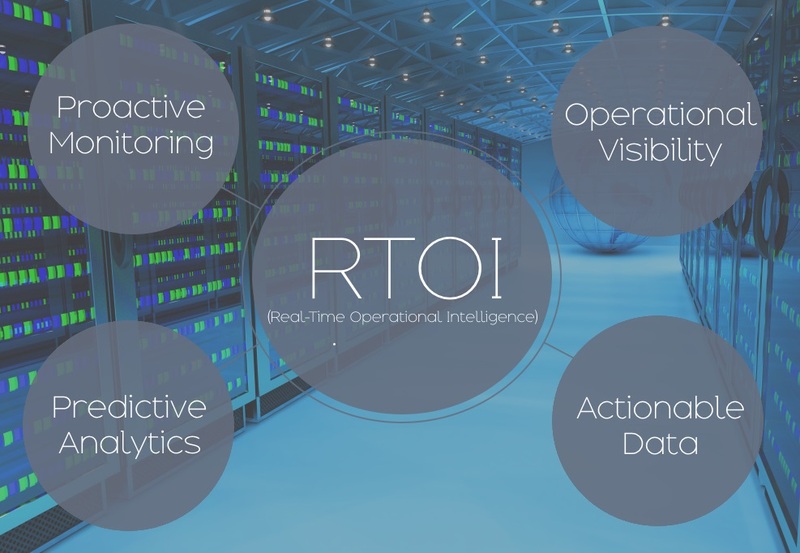 RTOI can assist data centers in improving capacity planning, anticipating asset lifecycle and properly planning management, maintain and continuously meet regulatory compliance, optimize energy efficiency and more. With accurate information in real time you can manage capacity needs and, in a moment’s notice, add capacity so that there are no problems. Additionally, that kind of historical information is useful for predicting the need for data center expansion going forward. For example, data centers often have orphan servers that are sitting doing nothing but collecting dust and sucking up resources like cooling and power. Without careful and accurate management, these orphan servers could sit like this for weeks, months or even years, wasting resources that could be better allocated. With real-time statistics about what exactly is going on in your data center, you can find these orphan servers and clean them out, freeing up capacity for other infrastructure. In fact, carefully managing your data center’s capacity needs and more accurately anticipating future needs can mean saving millions of dollars in the long run. 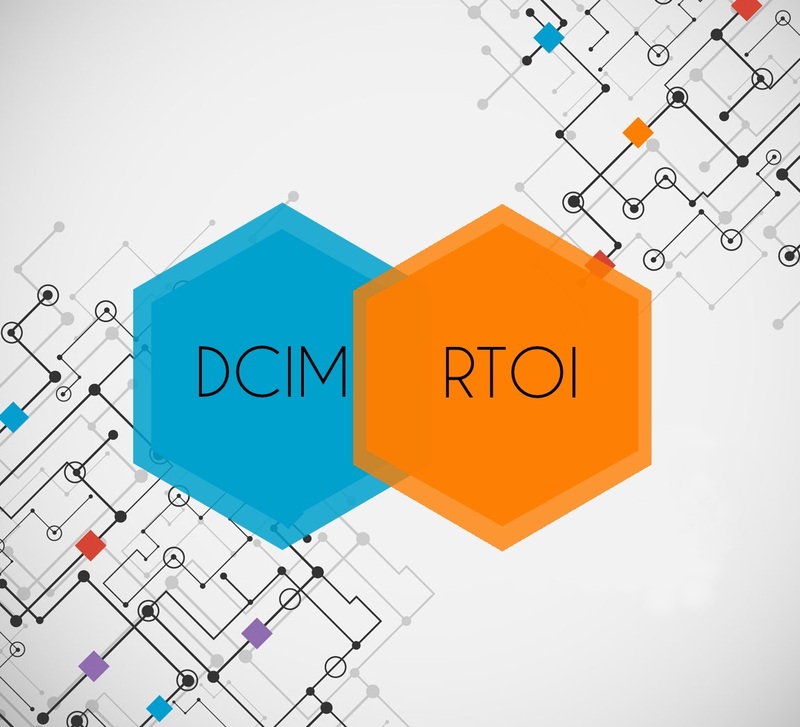 DCIM and RTOI go hand in hand. Without a proper plan for data center infrastructure management, and sophisticated monitoring software, RTOI is not achievable. DCIM tools are necessary to measure, monitor, and manage data center operations including energy consumptions and all IT equipment as well as the facility infrastructure. Fortunately, there are sophisticated DCIM software products available that will track sophisticated information all the way down to the rack level so that monitoring is made easy, even remotely. As mentioned, it is critical to leave behind old and archaic forms of DCIM, there is simply no way to really keep up. Data centers, regardless of size, must focus on real-time operational intelligence as a means of accuracy. TechTarget explains why it is critical to focus on RTOI as a way of staying ahead potential problems, “Taking a new big data approach to IT analytics can provide insights not readily achievable with traditional monitoring and management tools, Volk said…For example, particularly with cloud resources, it can be difficult to anticipate how applications and data movement will affect each other. Cloud Physics allows cross-checking of logs and other indicators in real time to achieve that. This new approach is “leading edge, not bleeding edge,” Volk said. Its value to an organization will depend on the maturity and complexity of a given data center. Small and medium-sized businesses and organizations without much complexity will benefit, he said, “but companies with large and heterogeneous data centers will benefit even more.” RTOI helps data centers provide better service to their customers, minimize downtime, improve efficiency, maximize reputation, and ultimately, save money through vastly improved operations. This entry was posted in Cloud Computing, data center equipment, Data Center Infrastructure Management, DCIM, Internet of Things, Mission Critical Industry and tagged computer room maintenance, Data Center, data center equipment, DCIM, Mission Critical. Bookmark the permalink.